A bug in the Mac App Store is reportedly allowing users with illegal and trial copies of iWork applications and Aperture to upgrade to the latest version for free, reports 9to5Mac. 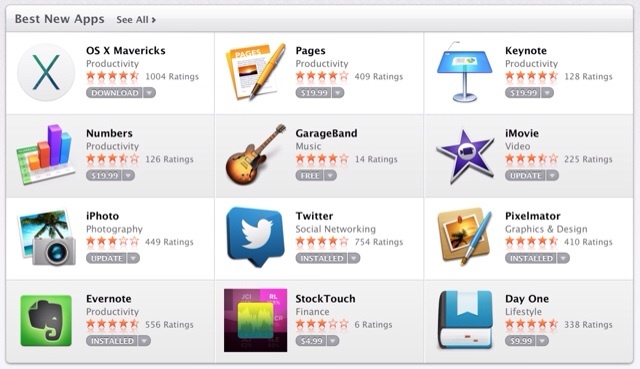 Since the Mac App Store now detects boxed copies of iWork and allows them to be updated to the Mac App Store version, it seems the trial versions of Pages, Numbers, and Keynote are perceived by the App Store as being a full purchased copy. This allows users to install yesterday’s updated apps without having to pay anything. Apple recently announced that it would be offering its iWork applications free to users who purchase a new Mac; however, those with older computers must pay for each application. The same bug has been found to affect the $80 Aperture application.